Discover Spearfishing and Lobster Hunting at a New Level! Live-Aboard the (air-conditioned) 60-ft M/V Playmate. 4 days, 3 nights. 5-8 Oct (Fri-Mon). Boarding begins Thurs, 7pm. 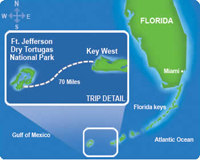 Departs Key West 5am, Fri. Returns 3pm Mon, 28 Aug. Cost $1299. 50% deposit required. 11 total spots available. Final payment due 1 Sep.
Tanks, weights and all meals included! Nitrox is included. Secluded reefs 70 mile west of Key West. Average visibility is 50-70'. Depths range from 40-80 feet. All drift diving. Board the Playmate at 7:00pm on Fri night. 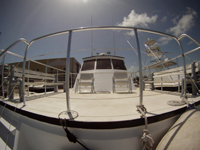 Sleep in air conditioned comfort and wake the next morning on site in the Dry Tortugas to start harvesting fish! The ship launches 5am Sat morning (approx 3-hour trip). The reefs are teaming with sealife and also provide for some great photo opportunities. 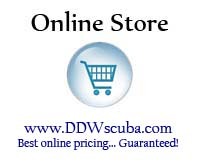 This is world-class spearing and lobstering at it's best! Fish are abundant in this off-shore region and lobster season will have just begun when we arrive. Call now to reserve your spot with a 50% deposit. The remaing balance will be due by 1 Sep. This is a professional outfit that knows where the fish are! You'll sharpen your skills, meet some avid divers that share your passion, and possibly remember this trip as the best adventure you've ever had! Call for details and to book your spot soon. (850) 678-5001.